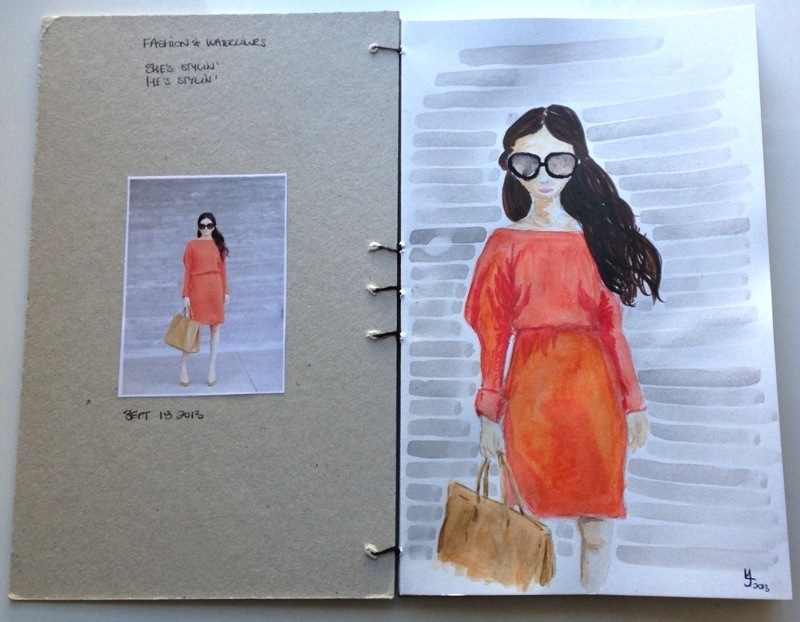 Ever since I came back from the symposium, I've been playing around with watercolors more and more and decided to use the book I made while I was there to practice a couple fashion drawings. I love the colors on that one but the orange came out a little strong at the bottom of the dress where I used a watercolor marker instead. I used a mix of watercolor paint, watercolor pencils and watercolor brush pens. I'm not sure which one I like best yet. I'll have to use them more and see in time.